Illinois will offer $100 million in state funds to help federal government workers affected by the partial shutdown in the form of low-interest or interest-free loans. Gov. J.B. Pritzker and Treasurer Michael Frerichs held a press conference Jan. 23 to announce the loans. "The government has been shut down for a month," Frerichs said at the press conference. "No one is getting paid and some even still have to go to work. The federal workers in Illinois and throughout the country are being held hostage, and this will not stand." Frerichs said the Illinois is lending $100 million to help government workers, and it will not strain the state’s finances. "We do not make this decision lightly, but we can’t sit on the sidelines anymore," Frerichs said. "We need to invest in people and provide tools to help others invest in themselves." Frerichs said the dollars spent will be spent securing a roof over a family’s head or at a local grocery store, meaning they will go back into the local economy. "It’s the right thing to do," Frerichs said. "Working men and women should not be used as pawns during a disagreement." 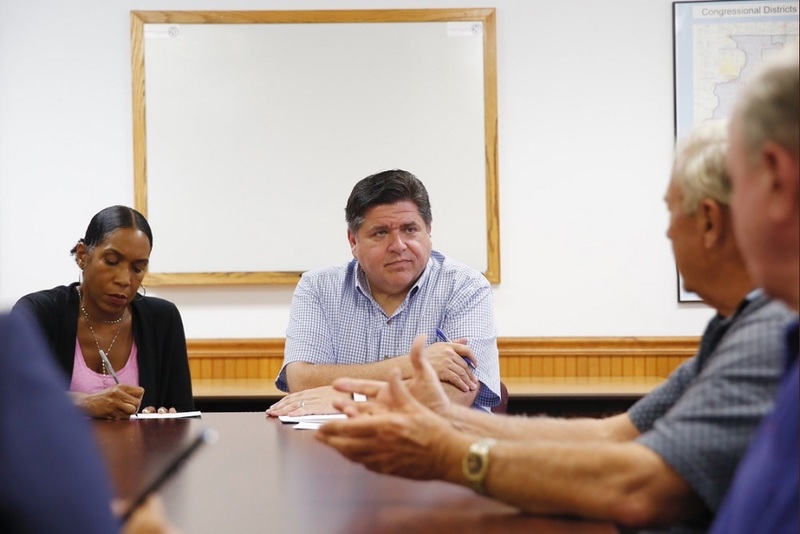 Pritzker said there are too many hard-working Illinoisans who are paying a tough price. "Day-to-day expenses are piling up," Pritzker said. "Hard-working families are suffering because this president wants to build an unnecessary wall. This is unacceptable." Pritzker said he wants to help all Illinoisans and not just federal workers, and that Illinois must make sure its most vulnerable families get help. "No federal employee should have to go without putting food on the table because the president refuses to open the government," Pritzker said. "I'm grateful to the treasurer and to credit unions who are participating, and I urge all financial institutions to join in this effort." Pritzker said if the shutdown continues, the state will need to ask people to give more help. "Affected families are our neighbors, and they’re in an impossible bind due to circumstances entirely out of their control," Pritzker said. "I want all Illinoisans impacted by the shutdown to know that their state government is doing everything in its power to help." Pritzker said President Donald Trump is being unreasonable in allowing the shutdown to go on as long as it has. "This is not the way to run a government—with this idea of threatening everybody to get what you want," Pritzker said. "He’s been unwilling to work with anyone." Pritzker estimated there are about 8,000 federal government employees in Illinois. Want to get notified whenever we write about State of Illinois ? Next time we write about State of Illinois, we'll email you a link to the story. You may edit your settings or unsubscribe at any time.